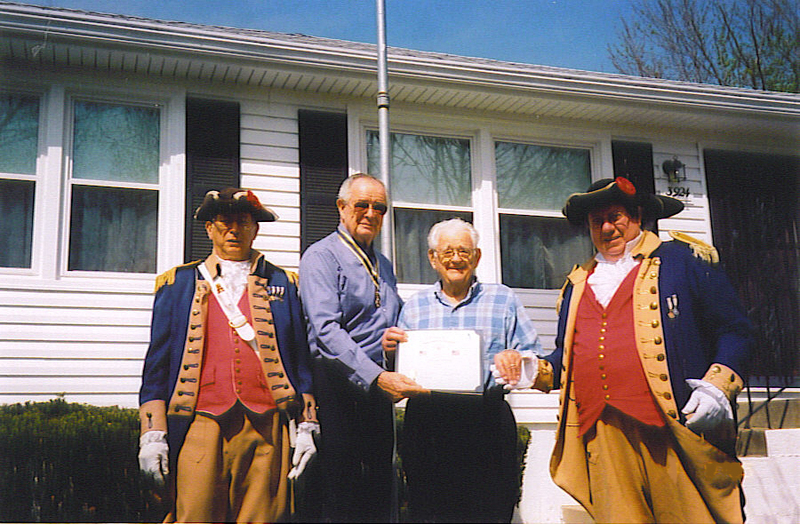 Harry S. Truman Chapter Color Guard team at the home of Maurice M. Miller during a Flag Certificate Award presentation on April 9th 2005. (L-R) Major General Robert L. Grover - Harry S. Truman Color Guard Commander, Romie Carr - Harry S. Truman Chapter President, Maurice M. Miller - recipient of the Flag Certificate Award and Captain James L. Scott. Not shown in the picture is William W. Hartman who also participated in the presentation.